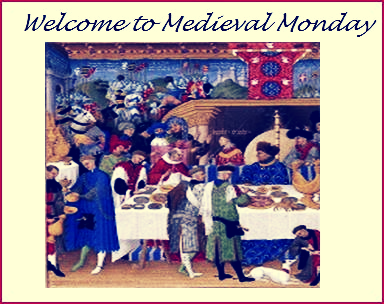 Today starts the new round of Medieval Monday Spring due to Ashley York's endeavor. It lasts between 6th April and 22 June. As usual, at this first post, each of the authors who take part in the tour present their book on their blog/website page. So, today I bring to your attention, once again, Shadows of the Past, a paranormal, light romance/light historical/light horror novel. And to avoid boring you I will post a new excerpt. /././././././././././././. . . . . . . . . .
What a great kick-off to another round of Medieval Monday, Carmen. SHADOWS OF THE PAST was such an intriguing novel with it's shifting focus between past and present. Wonderful and powerful excerpt! Your words regarding Shadows of the Past are balm for my soul. Thank you, Mary! The feeling is mutual.